Welcome to Pack 235! We were originally chartered on October 1, 1960 by Red Hill Lutheran Church. 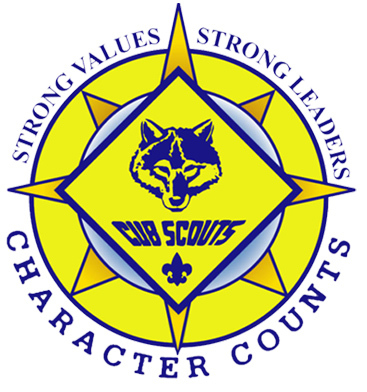 We are a growing and active pack and currently have approximately 75 scouts, and about 20 adult leaders and coordinators. At least 95% of our scouts earn their rank advancement each year. We recruit not only from Red Hill Lutheran Church and School, but also from Red Hill Elementary, Myford Elementary, Benson Elementary, and Heritage Elementary. While each pack is given specific schools they are allowed to recruit from, our pack happily welcomes scouts from other schools, as well. We meet once a month during the school year as a pack, and have special outings for the summer months. This year we have earned the Quality Unit Award and Summertime Pack Award. During the school year, we meet as a pack (all the scouts, 1st – 5th grade) once a month. Additionally, each den (a small group of same-grade boys) gets together 2-3 times per month, including some field trips. These details are decided by each individual den. Throughout the year, we participate in many activities as a pack, including a Pinewood Derby (always a highlight! ), Scout-O-Rama, a special celebration Blue & Gold Banquet, parade marches, Christmas caroling, service projects (at both a Pack and Den level), fundraising, and Scout Sunday participation at Red Hill Lutheran Church. Summer events may include a Raingutter Regatta, Bottle Rockets, Paper Rockets, day camp, and others, such as a day of archery, visits to museums, movie nights, or play days at the park. We also have at least one family campout each year, usually during Memorial Day weekend at a local Boy Scout facility. We have access to our Orange County Council facilities: the Irvine Ranch Outdoor Education Center in Irvine Regional Park, Oso Lake Campground in Rancho Santa Margarita, Lost Valley Campground near Temecula, and the Newport Sea Base in Newport Beach; as well as many more campgrounds through other Boy Scout Councils. The pack and or individual dens may schedule additional campouts, as well. The events may include BB shooting, archery, tomahawk throwing, swimming, fishing, hiking, crafts, campfires, skits, songs, and always lot of yummy food. Don’t worry if your family doesn’t have all the necessary equipment for camping, because other families are always willing to share! Currently, we meet as a Pack once a month, usually on a Friday night, in the Fellowship Hall of the Red Hill Lutheran Church from 7 – 8:15pm. Each den, as it is formed, decides their own meeting schedule - generally meeting 2-3 times per month. The Pack Calendar, accessible through this site, will have more exact dates and times for our meetings.